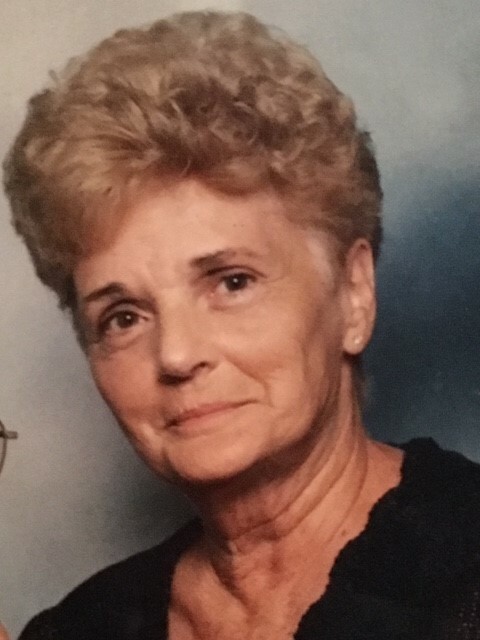 Betty Jean Sykes Modlin Bennett, 79, of Reidsville passed away peacefully in her home Monday January 14, 2019 surrounded by her children, grandchildren, and great grandchildren. There will be no formal funeral service. The family will receive friends 6:00 till 8:00 P.M. Wednesday January 16, 2019 at the home. A native of Alamance County, NC, she was a daughter of the late Homer Sykes and Mollie Fuqua Sykes Terrell and had lived in Reidsville for the past 17 years. Betty Jean was a star basketball player in her younger years. She retired from Cone Mills after 30 plus years of service and enjoyed camping, beach trips, mountain trips, flowers, and spending time with her family. She was preceded in death by her first husband of over 40 years James Modlin, Sr., her recent husband James Bennett, her mother Mollie Fuqua Sykes Terrell, her father Homer Sykes, a brother Bobby Sykes, a sister Lavona Wolfe, and a daughter-in-law Kathryn Britt Modlin. Survivors: include a brother: Eugene Terrell and wife Georgia of Mebane, daughters: Theresa Modlin of the home, Robin Modlin Wilson (Blake) of Stokesdale, Traci Modlin-Motley (Kelby) of Madison, son: James Modlin, Jr. of Madison, 10 grandchildren, and 14 great grandchildren along with loving fur baby Daisy. The family would like to thank Hospice of Rockingham County and Doctor Zack Hall for their care throughout Betty’s illness. Memorials may be sent to Hospice of Rockingham County P.O. Box 281 Wentworth, NC 27375. Citty Funeral Home is in charge of arrangements.